A 4-year-old boy and his mother were crossing a street when they were hit by a car in Peabody, Massachusetts. 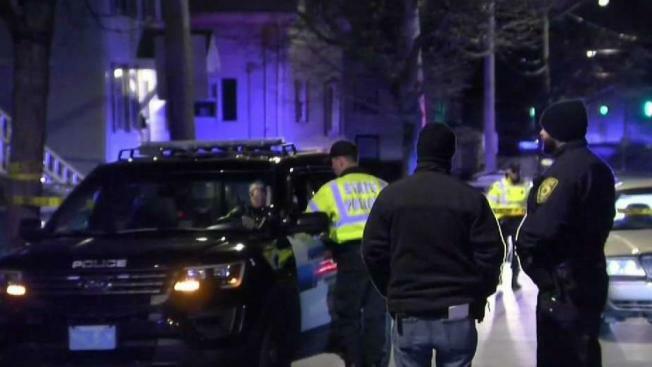 A mother and her 4-year-old son were seriously injured when they were hit by a vehicle Thursday in Peabody, Massachusetts. The crash occurred at Washington Street and Allens Lane around 6 p.m. A medical helicopter was called to the scene, and both victims were taken to Boston hospitals in serious condition. Initial reports from state police had said that two children were hit, but Peabody Fire said the victims were a child and an adult. "They got thrown 15-20 feet away," said witness Leslie Weinberg. "It wasn't pretty." Neighbors told NBC10 Boston that the woman and child were crossing the road to get to their car from a day care center when they were hit. Their belongings remained in the road after the crash. "I saw a little kid and his mom on the ground, and then a bunch of people surrounded them," Weinberg said. "I came out to help and the cops came very quickly, and the EMS, and they did a great job." The owner of the day care said the boy is named Nathan. Weinberg said the child's father was waiting in the car and saw his wife and son get hit. "He was upset. He was sobbing, of course. He watched his wife and kid get hit by a car, so it's a lot," said Weinberg. The driver, a man in his 80s, was driving a Mercury Grand Marquis. He was cooperating with investigators. "I haven't stopped crying," the driver told NBC10 Boston.